Meet Keith Martin, National Director of Federal Civilian Agencies at Sprint. Like many others, Martin began his career moving “up through the ranks” in the IT industry, first with Nextel and then Sprint. Martin is currently pursuing the industry’s most recent buzzword, “mobility.” In his interview with WashingtonExec, Martin described the top innovative government divisions that are adjusting well to the fast trend of mobile technology: The U.S. Coast Guard and the Internal Revenue Service (IRS). Martin also got more technical and discussed the Trusted Internet Connection mandate by the U.S. Department of Homeland Security (DHS). WashingtonExec: Can you give us a little about your background and what led you to Sprint? 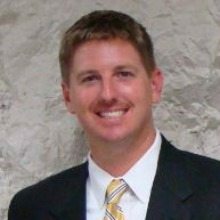 Keith Martin: I graduated in 1997 from St. Mary’s in Maryland and went to Nextel as an Account Executive. I’ve come up through the ranks in pretty much every sales management or technical position that’s existed in Sprint at this point. WashingtonExec: How do you think the government is adjusting to the fast pace of mobility? Keith Martin: The primary focus several years ago would have been around security. So very bureaucratic, not in a negative sense, but there would be a lot of focus on how you buy, what you buy, and whether it meets the requirements. Frankly, I’m impressed by the speed at which the government is erupting. These data collecting and data editing devices all of a sudden showed up in the most sensitive of places in the government. The CIO offices have been very quick to adapt user policy, security policy, applications, extension of applications . . . I’m shocked. I think the government has done a pretty darn good job of it as a whole. WashingtonExec: Which agencies do you think have been doing a good job and adjusting well? Keith Martin: The Coast Guard has been extremely aggressive at adopting new technology. I think the profile of the average Coasty is so much younger and more technology-friendly than it might have been several years ago. They were one of the first to use Windows Mobile. They are one of the first major pieces of DHS to sort of plow into the Android space in using Goodlink from a security perspective. They have a very open mind, and they’ve done a very good job balancing their DOD and their DHS origins, resulting in probably the most comprehensive technology suite I’ve seen within DHS. The IRS has been very progressive at providing connectivity. What they’ve done is be very, very aggressive at providing end users with broadband connectivity, and then they are bringing that broadband connectivity with VPN and traditional computing technology back into their enterprise environment. I think it is a very good hybrid of the two. They have put connectivity in the hands of more of their employees at rapid pace. It is probably the best management that I’ve seen in the federal government in terms of extending mobility. WashingtonExec: Where do you see the balance between maintaining cybersecurity standards and upgrading federal systems? Keith Martin: The OMB put out a mandate called the Trusted Internet Connection mandate that goes back into 2008. It says no private government information can pass across the public Internet unless it is going through a secured path. Agencies need to find a way to secure that data path out to that mobile device. I’ll give you an example; we often give our federal customers a private wireless connection to a device. Imagine you are holding your iPhone right now, and from the cell site that is a totally private connection; you never go across the public Internet. Once it gets back to the agency, your device will need to pass back through its email filtering, content filtering, etcetera. We see that as a very important and maybe even technically a requirement of cloud application deployments. I just haven’t seen agencies necessarily adopt that sort of a security policy yet, but I think it is very important that they start. If you are doing all of these fun things on a device, and its flying out across the public internet, you really need to be thinking about how secure is what you are doing.